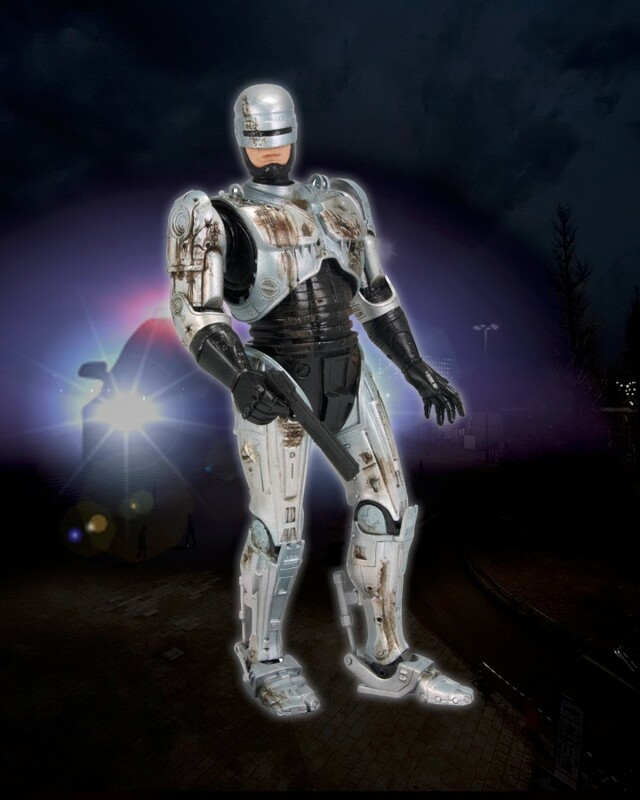 Robocop Takes Damage and Keeps Fighting! Part man. Part machine. All cop… and now, all action figure! 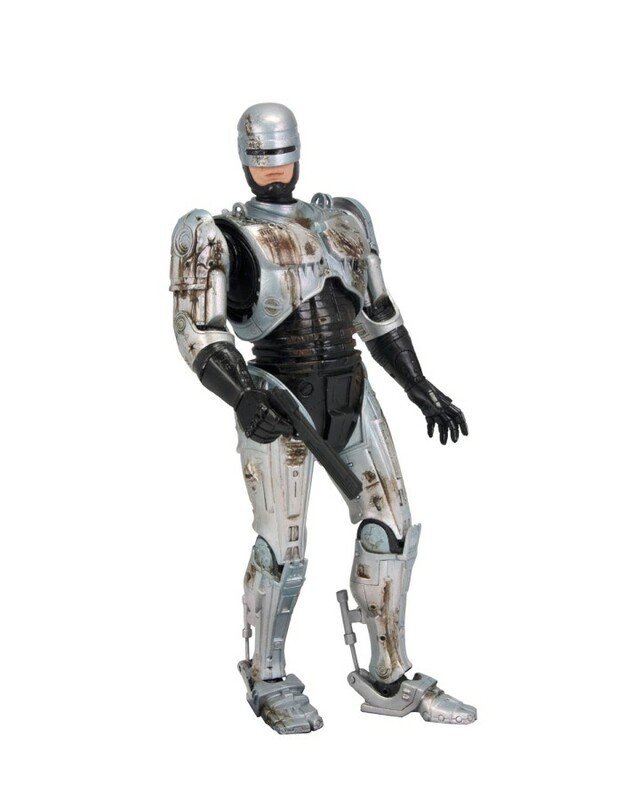 Robocop, the classic crime fighter from future Detroit, is back as a 7” scale figure in honor of the movie’s 25th anniversary! This highly detailed Battle Damaged Robocop might be bruised up after duking it out with ED-209, but he’s still got over 20 points of articulation, an interchangeable Data Spike hand and Auto-9 pistol accessory. 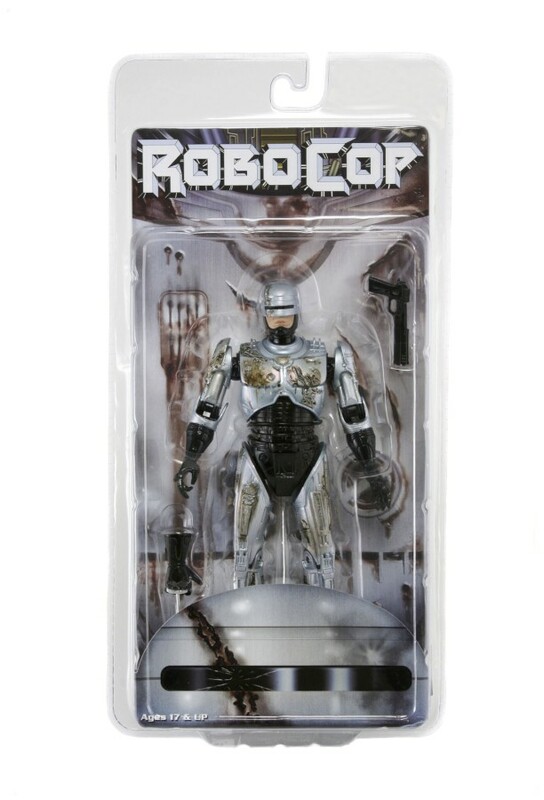 Also still available is the regular, unbloodied 7″ Robocop action figure.